In an off-camera interview with Bloomberg News last week, recently fired American Apparel founder Dov Charney claimed quite the sob story. During an internal investigation this summer, Charney pledged 43% of his stake in American Apparel to hedge fund Standard General under the assumption that he would be taken back into the company fold; Bloomberg reporter Trish Regan quoted Charney as saying, "I gave them my shares so I could come back to this company, and they robbed me." It's unclear how Charney is down to his last $100,000, given he was still earning his base CEO salary of around $800,000 in the consultant role. He is technically still the company's biggest shareholder. As she describes their conversation, Regan throws some polite Bloomberg shade at Charney, with statements like: "He can be quite entertaining," and "he seems fairly rational, but there are times when he goes off onto a little bit of a tangent," and, in the ultimate aside: "He's suing everyone, by the way." The ousted entrepreneur also told Bloomberg of his plans to take the company private—and despite a rap sheet including violations of company policy, misusing of corporate assets, and sexual assault allegations, Charney is not without support: More than 30 American Apparel employees signed a letter to the board protesting the decision to fire the guy "who makes this thing tick." 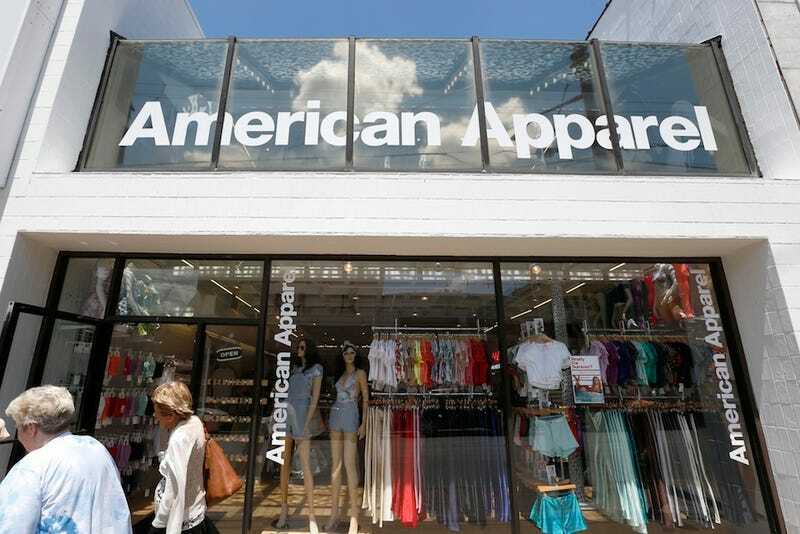 "As we have stated previously, our objective is to help American Apparel grow and succeed. We supported the independent, third-party and very thorough investigation into the allegations against Mr. Charney, and respect the Board of Director's decision to terminate him based on the results of that investigation. We believe that American Apparel will benefit from the leadership of its new CEO, Paula Schneider, and we are focused on supporting her and American Apparel going forward."